Report time online and get a clear overview of your assignments. Briox Time gives you all the information you need to make smart decisions based on real time data. It offers the possibility to increase your revenue by managing projects, clients and your time more efficiently. Together with Briox Invoicing, you can create invoices of your working time and send directly to your customers via email. Create detailed time sheets where you can comment on your posts. Mass management and detailed reports are also available to facilitate your work. Report, comment, submit and approve time via your mobile wherever you are. 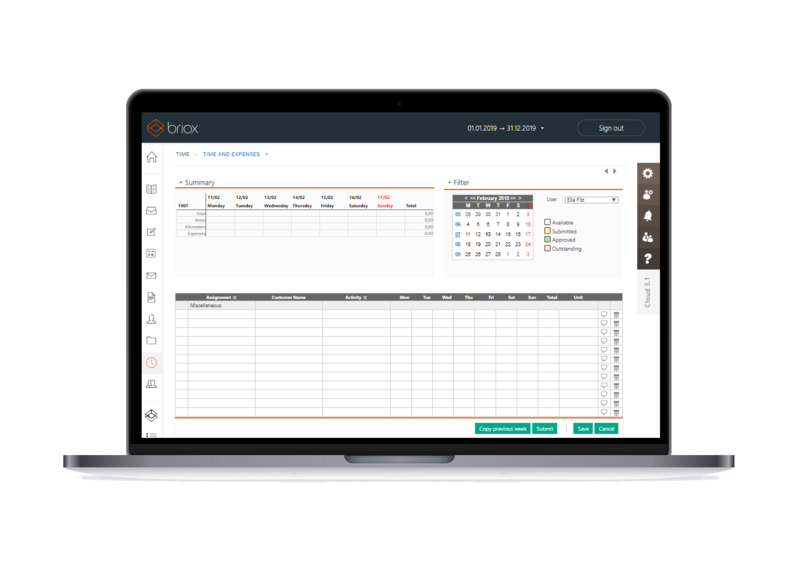 Together with Briox Invoicing you can create invoices immediately after approving timesheets. You can also edit the invoice, add any discounts and choose language and currency. Along with Briox Scanner/Archives you can expand time invoices with a detailed attachment stored in the Archive. You can edit the attachment in Time until the invoice has been created.